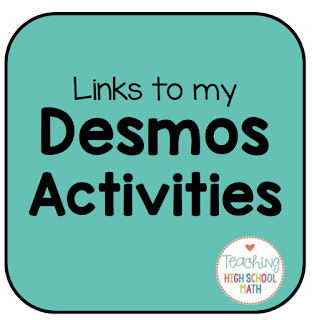 This is a post where I will keep a catalog of activities I have created to use with Desmos. 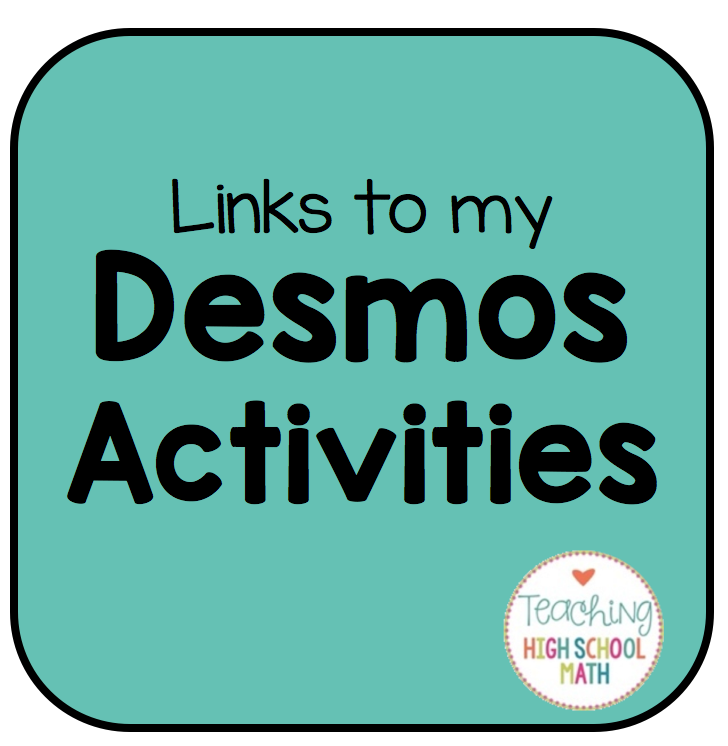 There is a link up at the bottom of the post where you can get a direct link to the activity, but I would like to describe the activities here. 1) Pythagorean Theorem Triangle Family Sort - In this activity, students are given the headings 3, 4, 5; 5, 12, 13; 7, 24, 25; and 8, 15, 17. Students sort the cards into appropriate piles based on the family that the triangle belongs to. 2) Parabola Card Sort - In this activity, students are given graphs of parabolas. They match the graphs to the equation of the parabola, the focus and the directrix. 3) Law of Sines - Ambiguous Case - Students decide whether the information given will allow 0, 1, or 2 triangles to be formed.